Earlier this month, the Bridger Ski Foundation (BSF) presented a $750 check to Friends of Hyalite, the nonprofit organization that helps keep the Hyalite area plowed throughout the winter. A plowed road means access to great skiing and other activities. 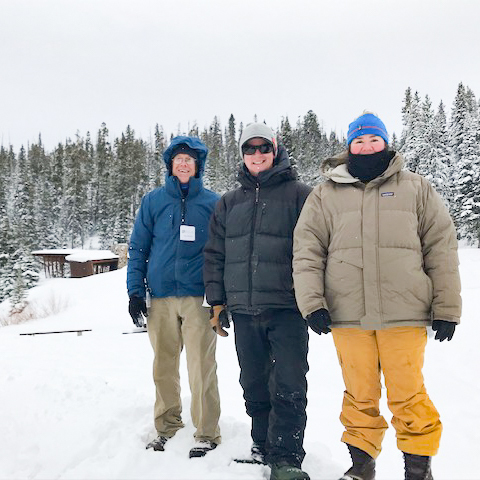 "Winter access to Hyalite is a unique partnership between the U.S. Forest Service and several nonprofits," says BSF Executive Director Evan Weiss. For plowing, Friends of Hyalite, Gallatin County, and Custer-Gallatin National Forest split the costs of plowing the road. Friends of Hyalite has to fundraise approximately $13,000 each winter to make that happen. A plowed road means that BSF and the Forest Service can groom ski trails in Hyalite. "It also helps spread people out in the winter months when we have less access to recreational areas," notes Weiss. Local residents and visitors use the area for skiing, sledding, snowshoeing, ice climbing, and ice fishing. While the Forest Service typically is the primary groomer in Hyalite, BSF pitches in as needed. During the recent government shutdown, BSF took over grooming efforts in Hyalite to keep the ski trails packed and groomed. Prior to 2008, the road into Hyalite was not plowed, and much of the winter you could only access it on foot or by snowmobile. It's the only place in the country where a local government plows a Forest Service road solely for the purpose of recreational access. In addition to coordinating the winter road plowing, Friends of Hyalite works on stewardship in Hyalite. They also stepped up to make sure things ran smoothly in Hyalite during the shutdown. 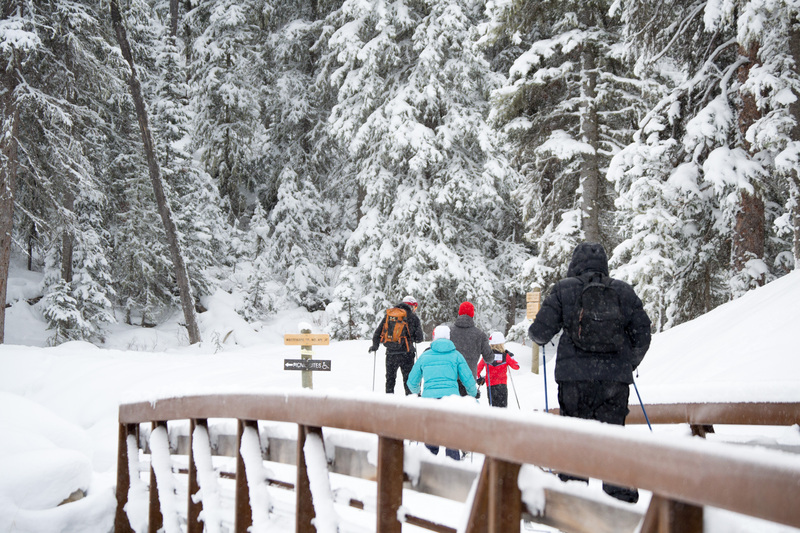 We love Hyalite, and we love the winter access. And this is a good reminder that a lot of local organizations pitch in to make Bozeman an incredible mountain town with miles of trails and recreation. We have to support each other to keep it going. Just like buying a voluntary trail pass helps keep BSF grooming trails, supporting Friends of Hyalite keeps that road plowed. So if you're enjoying Hyalite this winter, give Friends of Hyalite a few bucks. That's how it gets done.